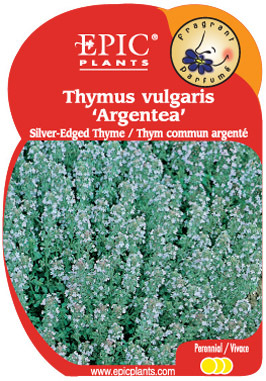 Common Thyme with an ornamental twist, this form has dark green leaves with silver-white edges. Purple-mauve flowers in summer. Easy to grow in full sun with a well-drained soil.